The exquisite ambiance of the Hampshire House on Beacon Hill, in the heart of Boston, provided the perfect setting for A and D’s intimate winter wedding! 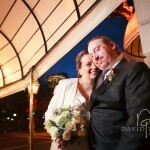 Thanks for braving the January winds as we dashed outside for a few photos at the magic hour. Enjoy the photos! !